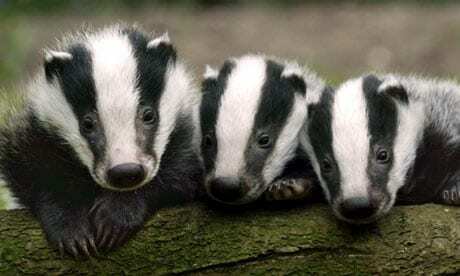 Home » Comments » Badgers killed in error! As you know, I love animals and hate Cruelty. Well I’ve just realised that we have a dyslexic Government Minister. He didn’t actually mean to kill our population of Badgers to stop the spread of disease. He meant to kill the Bankers! Well it makes more sense doesn’t it?! « Mirabeau: The Year in Review – Walla Walla, Wagga Wagga and New York New York.